The PNG Coffee Industry Corporation’s Productive Partnerships in Agriculture Project (CIC-PPAP) continues to touch the heart and soul of farmers taking part in the coffee rehabilitation project. 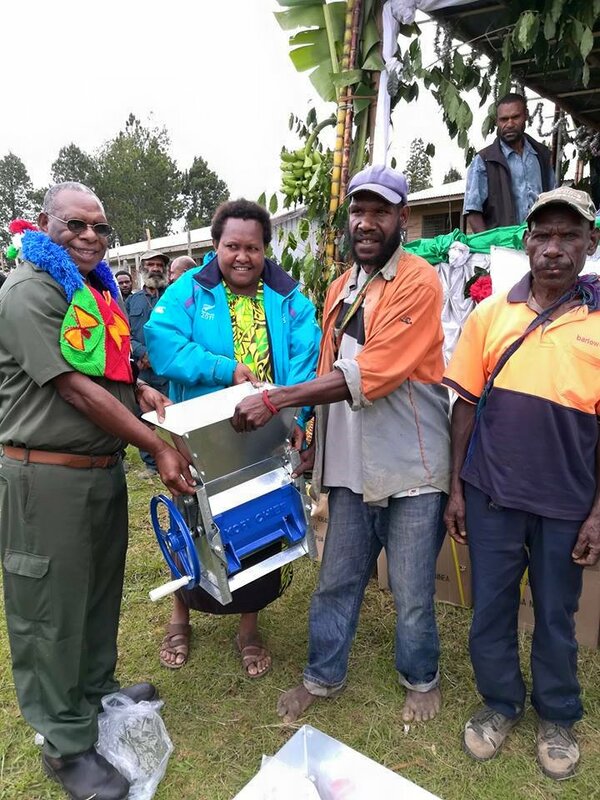 Last week close to 2,000 farmers and their families gathered at Okapa Station, Eastern Highlands Province to witness the launching and distribution of Hand Pulpers. 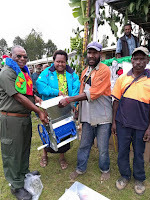 This was the final coffee pulper distribution for CIC-PPAP lead partner Coffee Connections and co-partner Highlands Organic Agriculture Cooperative (HOAC) under call 2 activities. The farmer group is serving 2600 growers under the partnership since 2009.